From Di'ja's unexpected baby news to Osas Ighodaro's surprise birth, 2016 is indeed the year of celebrity baby arrivals. This one caught us all by surprise! 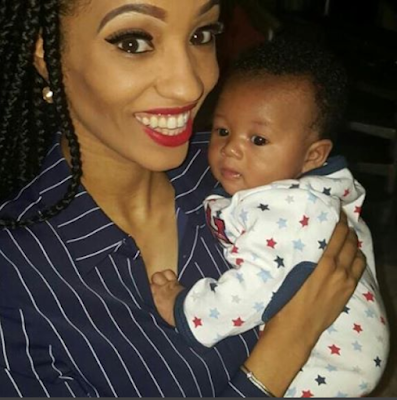 Aphrodija and husband Rotimi welcomed a baby boy back in June. Confirming the news, the Mavin artistes shared a cute video story on Instagram today, July 1, 2016. Adichie who debuted her baby bump at a writing event in Lagos in an interview with Financial Times back in July announced she is now a proud new mum. According to her, she hid the fact that she was pregnant and had delivered her baby because she wanted it to be personal. Eku Edewor welcomed her first child with boyfriend, Chini Odogwu back in November. The '53 Extra' host welcomed a baby girl in a London hospital. Nollywood actor Kennneth Okonkwo welcomed a baby boy, Kenechukwu, with his wife, Iheoma, after nine years of marriage. The duo were delivered of a baby on May 7, 2016. Seyi Law and wife Stacey Aletile, welcomed their first child on Saturday, October 1, 2016, after five years of being married. The couple welcomed their bundle of joy in Maryland, USA. Bez welcomed his first child with wife, Bolatito, after two years of marriage this year. Bez shared the news of his wife's delivery on Sunday, July 17, 2016, on Instagram. He wrote, "God blessed @titoidakulaand I with a King! #grateful #greatness#blessed".